I cannot write about The Punk Singer like it is just another SIFF documentary. I always try to look at cinema analytically, but this movie became personal and by the end, I was cheering for all that Kathleen Hanna has done and will do. There was a period of time when music meant something. In the 80s, I was crazy about Duran Duran which took me to Bowie, The Culture Club... Later Guns n' Roses were huge and I had a metal phase, but after high school, I didn't connect with music the way I did at 15. In college, what spoke loudest was cinema. And this totally makes sense. It was the beginning of the New Queer Cinema and while those movies didn't make it up to Anchorage until years later, the impact on cinema was immediate. It wasn't until probably 1995 when I was finally seeing the movies by Gus Van Sant, Gregg Araki, Todd Haynes, and so on, but it was still in the movies where I was finding the stories that spoke to me. The cinema is where my adult identity was formed. But this all happened in the absence female voices and narratives. The Punk Singer makes me want to go back and time and discover the Riot Grrrl bands during college, instead of hearing about the movement years later and pick up and move to Seattle then, instead of in 20004. 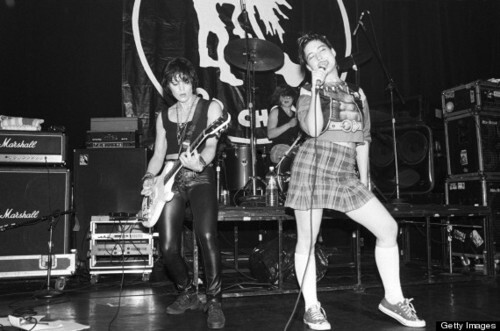 However, what was most surprising was the strong identification with Kathleen Hanna. She is only two years older and the series of events that brought about Bikini Kill felt like a parallel universe. About the time I settled into the film as an observer, the narrative progressed to describing Hanna's neurological issues that again, were familiar in that I had personally experienced most of them, although my neurological symptoms began years before Hanna became ill. So this isn't much of a movie essay and more of a personal one where I second guess my life choices. I understand the need to save face by quitting music before anyone really can see just how sick you are. Seems I've been avoiding forming relationships in an effort to maintain the appearance of health. I don't much like to admit to the bad days that are nearly equal in number to good ones. Had one today that began with an inability to wake up followed by an entire day of not being able to think clearly or motivate myself to do much more than reading news headlines. Maybe tomorrow, my head will feel clear and my old self will return. 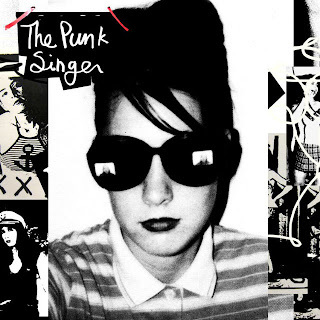 So to wrap this up, The Punk Singer was a moving portrait of the figure at the center of the Riot Grrrl punk movement of the 90s. The movie really is very clear on how feminist these bands were and the cultural response. And while these bands are no more, there is still a need for women's voices to loudly call out misogyny is all of its forms and tell the men to move to the back.